Dodge county is expected to grow by nearly 10 percent in the next two years... according to a study by 'maxfield research'. That means its goung to need housing. 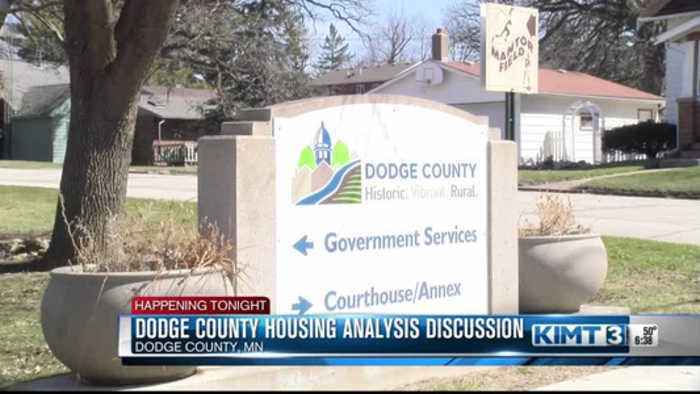 The study should give county leaders a better idea of what they'll need, and how to get those needs filled in the coming years, like more rental units. The researcher is giving a presentation tonight, and wants everyone to come, saying it could impact what you see in your town. It's a lot of numbers in the report, no question about it. So, what we're going to try to do is try to present the highlights and the key points that were found in the report and what should be implemented for housing development and what kind of pricepoints.